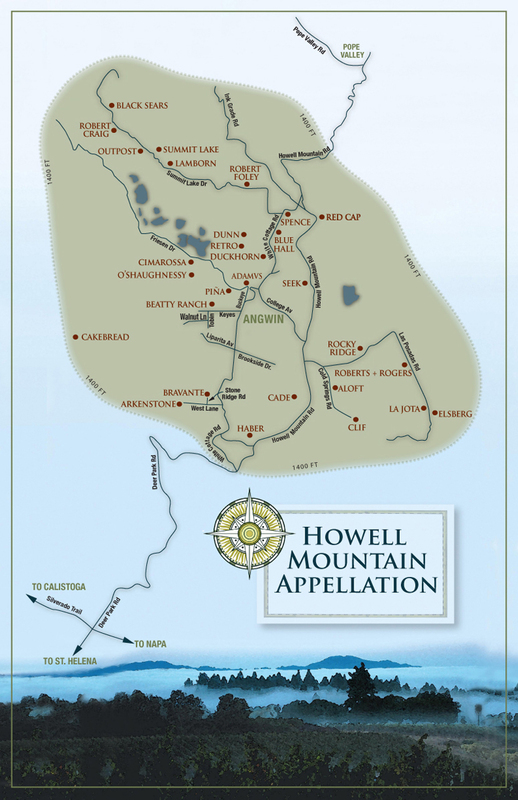 Howell Mountain, the first sub-appellation to become recognized within the Napa Valley AVA, sits in the Vaca Range on Napa Valley’s northeast side. The AVA spans 14,000 acres, with only 600 acres planted to vines. Howell Mountain’s altitude plays a large role in the area’s climate, sitting 600 – 2,400 feet above sea level. This altitude provides moderate temperatures and less exaggerated heat spikes with cooler daytime temperatures and warmer evening temperatures than the valley floor. Sitting above the fog line, Howell Mountain enjoys sunshine and receives cool Pacific breezes. These climatic difference, including the fog’s influence, play a role in creating an annual growth cycle slightly different than that of the valley floor. Bud break comes a month later as temperatures on the mountain are typically 10 degrees cooler than flat land, and early summer fog is frequent. The fruit develops more slowly, but by mid to late summer that changes. The overnight marine layer now blankets the valley, and lingers until late morning. Above the fog, nighttime temperatures are now 10 degrees warmer, allowing vines to still have chemical reactions without photosynthesis into the evening. This allows tannins to ripen in conjunction with sugar accumulation while producing fruit that demonstrates great balance between sugar and acidity. During Indian Summer days, extra hours of unobstructed sunlight allow Howell Mountain grapes to catch up in the ripening cycle and ease into maturity. Soils on Howell Mountain are rocky and volcanic with poor water retention. This typically leads to low vigor vines with deep roots. The two main soil types found on the mountain are decomposed volcanic ash (tufa) and red clay that is high in iron and rich in minerals. Both soils are nutrient poor and stress the vine, producing intense wines from small clusters and berries. 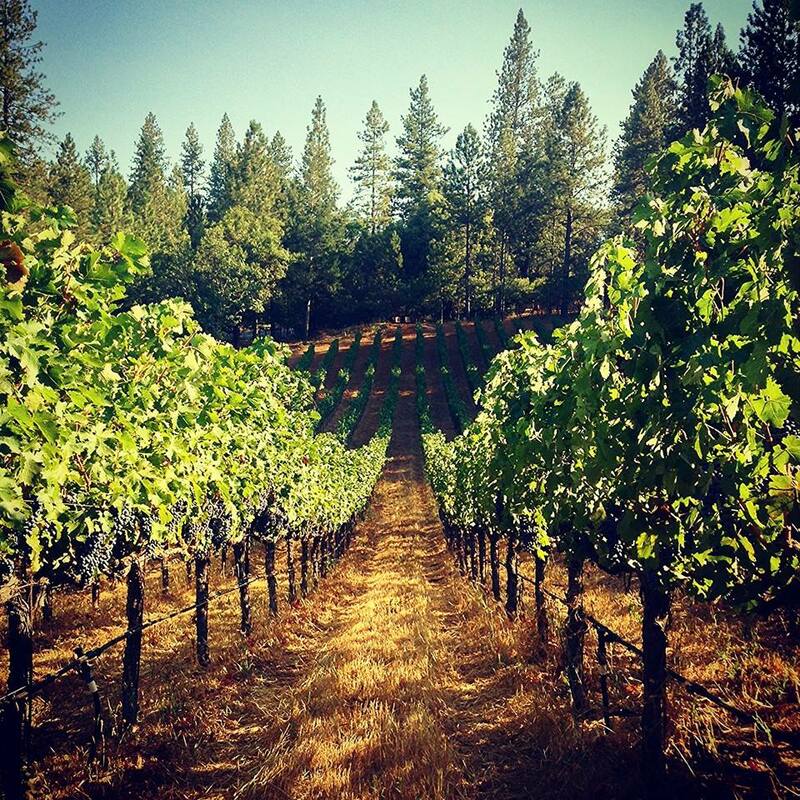 Howell Mountain sees nearly twice as much rainfall as the valley floor, but soils stay dry due to the rocky, porous soil conditions that provide adequate drainage and less accumulation. 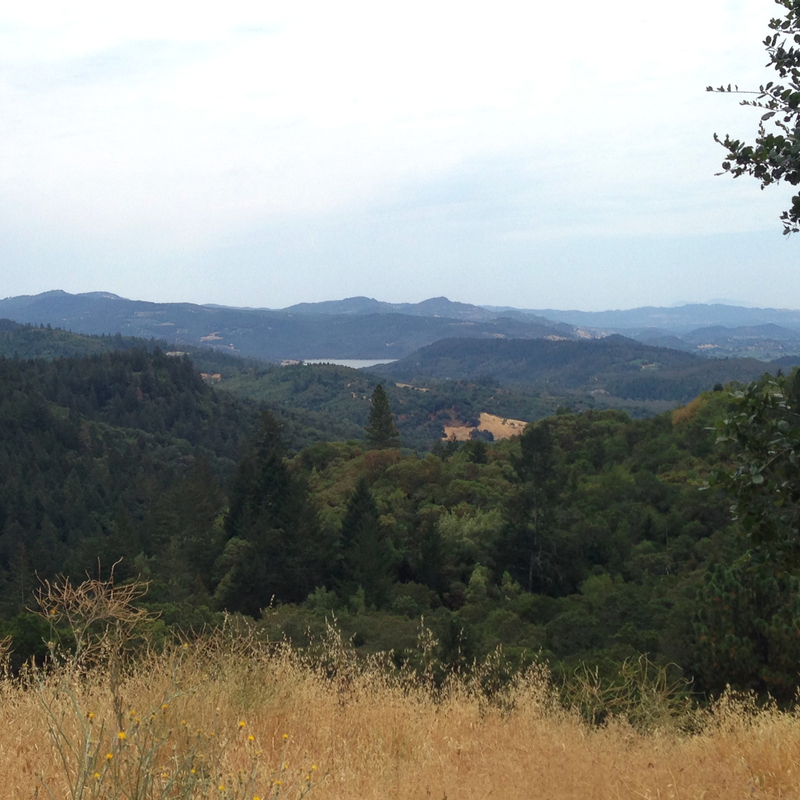 At 1,900 feet, Red Cap Vineyards sits near the summit of Howell Mountain. The terrain is a rolling plateau at the top of the mountain with the vineyard planted to Cabernet clones 4,7 and 169 on 101-14 rootstocks. The vineyard was planted on virgin land in 2003 on Aiken loam soil that is deep, red and peppered with fractured rock. The vineyard yields about two tons of grapes per acre and the grapes are organically grown and hand farmed.